MACON, Ill. – Is it better to give than receive? At Macon Speedway, you get the opportunity to do both as Skeff Distributing presents the Christmas in July Toy Drive Saturday during a hot night of racing at the historic fifth-mile high banked dirt oval. By bringing an unopened toy for donation, adults receive $2 off general admission, reducing the price of the ticket to just $10. Prarieland ABATE will help collect the toys and deliver them to needy children during the Christmas season. Helping a needy child is a good feeling, no matter the time of year. Be on the lookout for free Budweiser merchandise from Skeff Distributing. 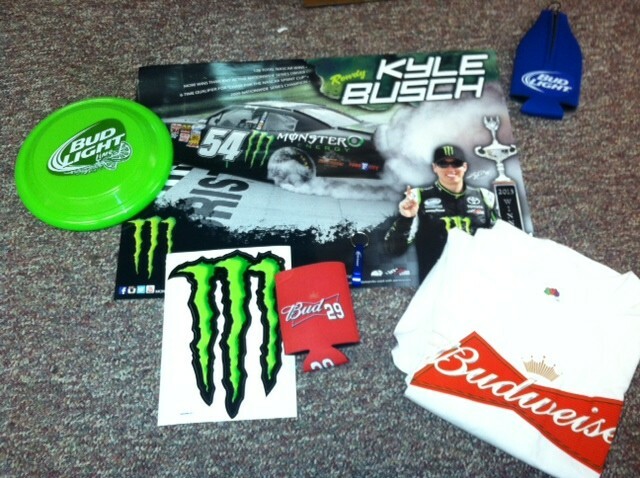 T-shirts, posters, coozies, stickers and bottle openers are included in the free merchandise giveaway. Just keep your eyes open for the free swag, courtesy of Skeff. Macon Speedway fans like to cool off with the popular race buckets. 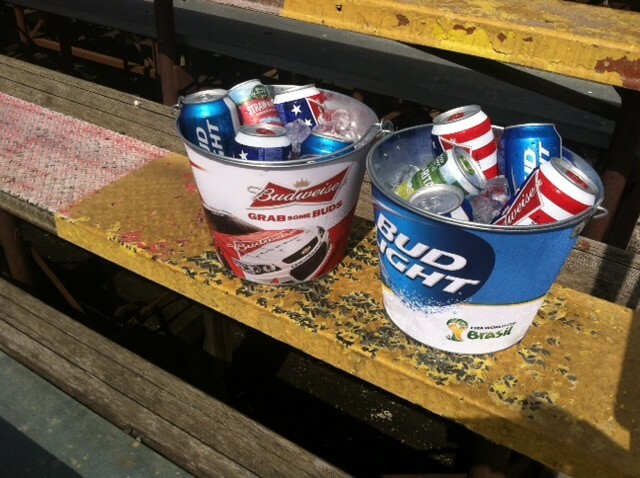 For only $20, fans can purchase five cold Bud/Bud Lights and all the ice to keep them cold. For just $15, refill the buckets with five more beers and ice. It’s a party made for the Macon Speedway grandstands. Billingsley Towing Modifieds, Street Stocks, Sportsman, Outlaw Hornets, Stock Hornets and Beach House Mini-Sprints will also race. Gates open at 5 p.m. and racing starts at 7. Billingsley Towing Modifieds is a division with some intense rivalries, and the Street Stocks division is also a keen battle between Bobby Beiler and the Reed brothers, Gene and Terry. The last time the Beach House Mini-Sprints raced here, 20 cars swarmed the speedway, and another large contingent is expected tonight. IHOP will distribute coupons for redemption at 1280 E. Pershing Road in Decatur. With the purchase of one entrée and two drinks, the second entrée is free. The offer is good through Aug. 30. Circle your calendar for the 34th running of the Herald-Review 100 at Macon Speedway on July 10. The cars and stars of the UMP Summer Nationals make their appearance to race in the $5,000 to win event that’s a highlight of summer in Central Illinois. Tickets are sold on the day of the race. Camping is also available. Shannon Babb, the Moweaqua Missile, is the defending race champion, and Brandon Sheppard of New Berlin won the Summer National title last season, so local race fans are geared up to see the area’s drivers protect their turf during the door-to-door, dirt-slinging action.